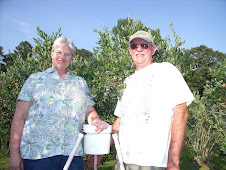 Keep up with current happenings at Johnson Blueberry Farm through our blog. Two batches of blueberry jam in 1/2 pint jars. Yes, the Kitchen at Johnson Blueberry Farm has blue counter tops!!!!!! 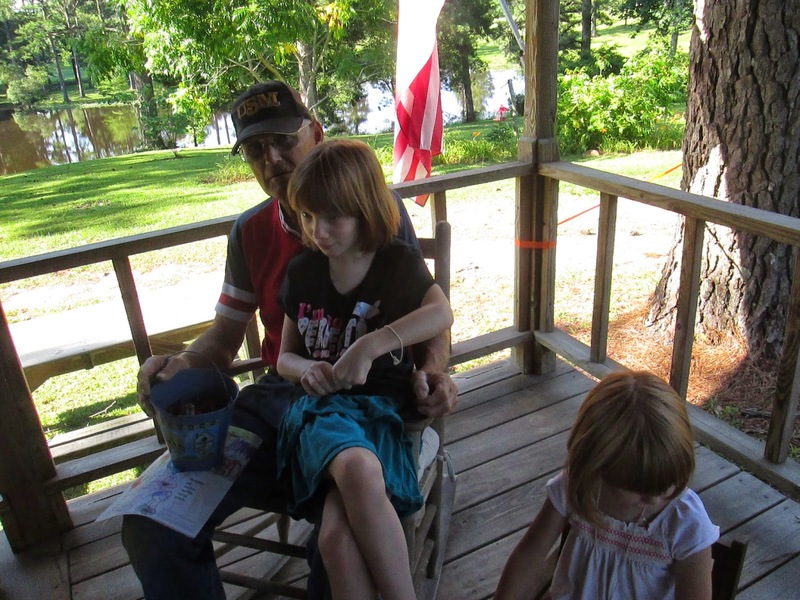 Family fun on a beautiful COOL July morning!!! Fast pickin' of beautiful sweet berries!!! Click once to enlarge. 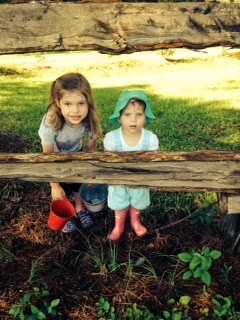 At the "old" split rail fence before picking pails of berries. Resting and rocking at The Blueberry Stand after picking a lot of berries!!! We will have LOTS of blueberries for at least 3 weeks!!! Dragon fly on tarp at blueberry stand after rain storm. Remember that we are closed on Sundays and Mondays. Picking should be really good on Tuesday because we are not picking for orders this Monday. The late varieties should be ripening well all week.